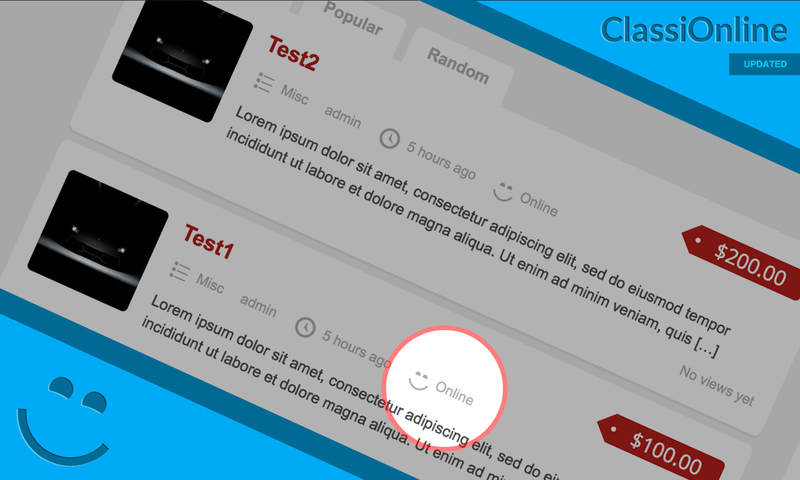 ClassiOnline is a useful plugin for ClassiPress to display the online status for logged-in users, if the user is currently online then an “Online” message with a smiley icon will be displayed on ads-home-page (for each ad) and inside the single ads pages as well (after the ad content), this plugin will not show an offline message if the user was offline, the users will also have an option to disable this feature from their (Edit Profile) page, this plugin is not compatible with child themes. Does this plugin supports any other languages? Yes, Arabic translation file is included. Can I add more languages? Yes, it’s so easy to add support for more languages in this plugin, simply navigate to the “/languages” folder inside the plugin folder, download this file “ClassiOnline-ar.po” then rename it accordingly to match your WordPress installation language, edit (re-translate) the file with any .po edit software (POEDIT is recommended) .. the software will automatically generate the .mo file which you will need to upload it back to the “/languages” folder and it will be automatically detected by wordpress. Open WP Admin dashboard -> Plugins -> Add new -> Upload. 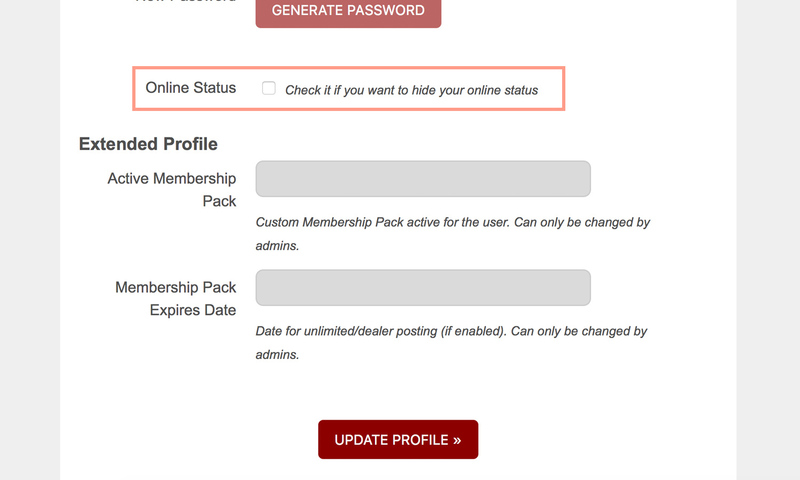 This plugin doesn’t have WP setting page and doesn’t require any further configuration after the activation. Product support will be provided via this email address: support@zaidrix.com. I purchased this plugin and it had a slight CSS conflict with my Childtheme. I expected this as the plugin Author warned this might be the case. 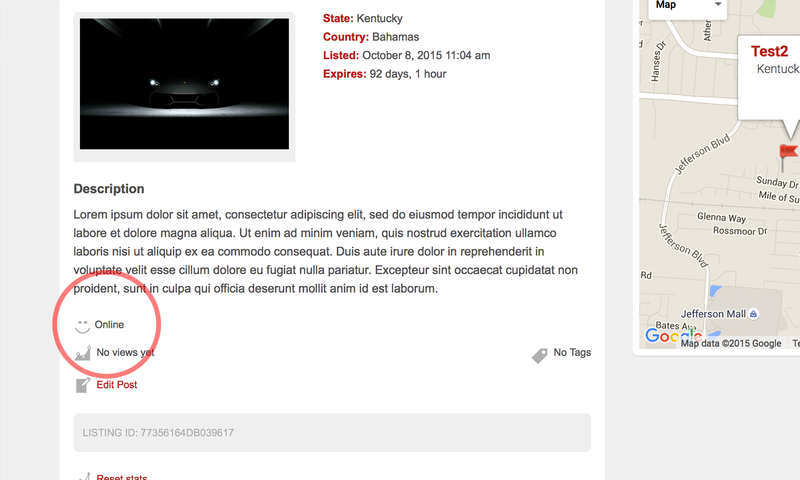 Zaidrix provided amazing support and customized the plugin to work in with my Child Theme. 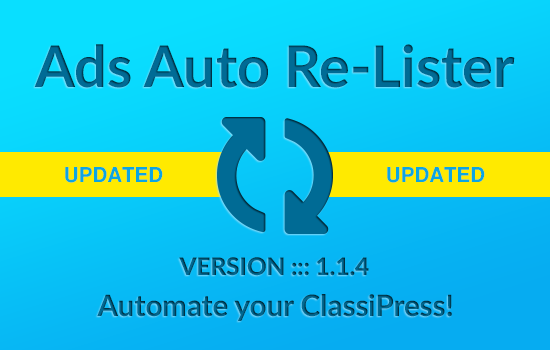 If you are looking to add some new features to your Classipress website to further drive user engagement, then I highly recommend this plugin. I haven’t tried this plugin with your child theme, it may cause issues with your theme style. What is your idea about the short code? you mean adding a [short code] for the online status in each ad manually while editing the Ad? Pugin just bought. If plugin is active cannot be logged in. You mean if you activate the plugin, you can’t login to wordpress anymore? 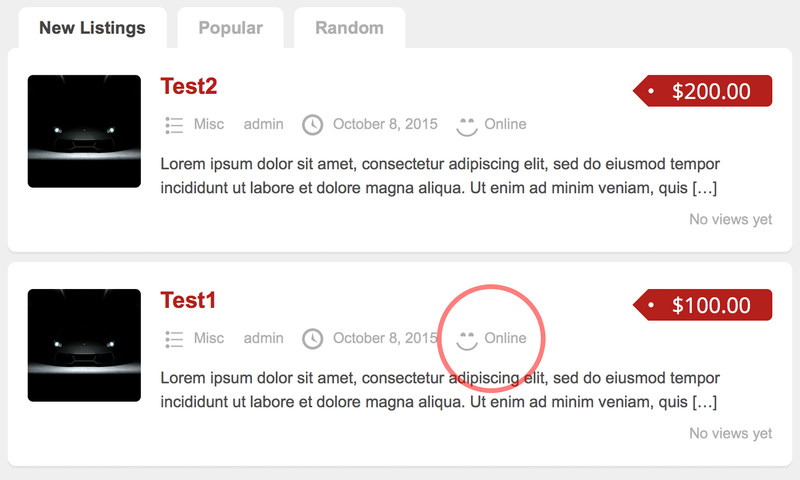 what version of ClassiPress/Wordpress you have? 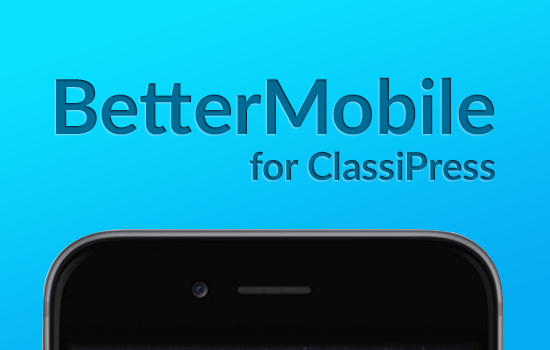 are you using the original ClassiPress theme? can u help me please, how can I make the smily and the online text green ?